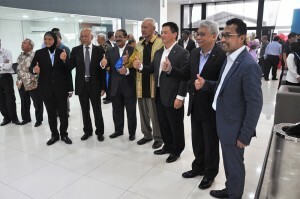 Pantai Bharu Corporation Sdn Bhd (Pantai Bharu), a long-time Proton dealer, has officially opened a brand new Proton 3S centre with the brand’s new look. Pantai Bharu previously operated its Proton business as a 1S and 2S on separate premises but has combined it into one following Proton’s call to its dealers to upgrade and improve, since early this year. Located at Lot 17870, Jalan Kapar, Sungai Pinang, 41400 Klang, Selangor, the Pantai Bharu Proton 3S Centre that has a spacious showroom and customer lounge with a children’s area, phone/laptop charging area, and complimentary WiFi; the delivery bay can cater to 3 vehicles. 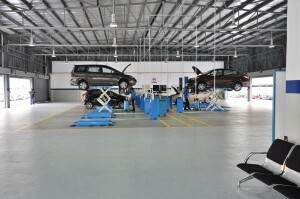 The servicing area has 12 service bays and 8 hoists. 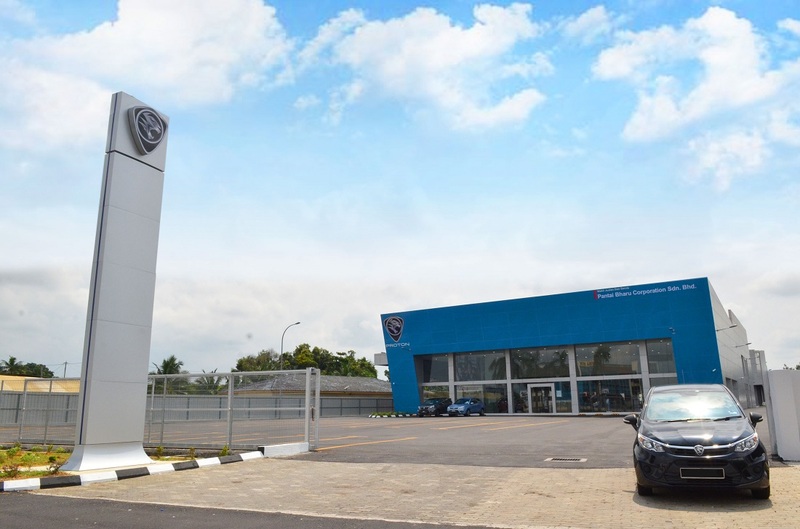 Furthermore, there are 70 customer parking bays available at this facility. 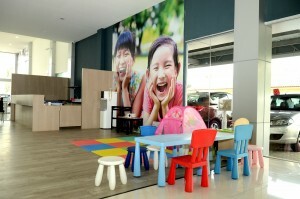 “In order to succeed, we need to move with times and stay relevant. 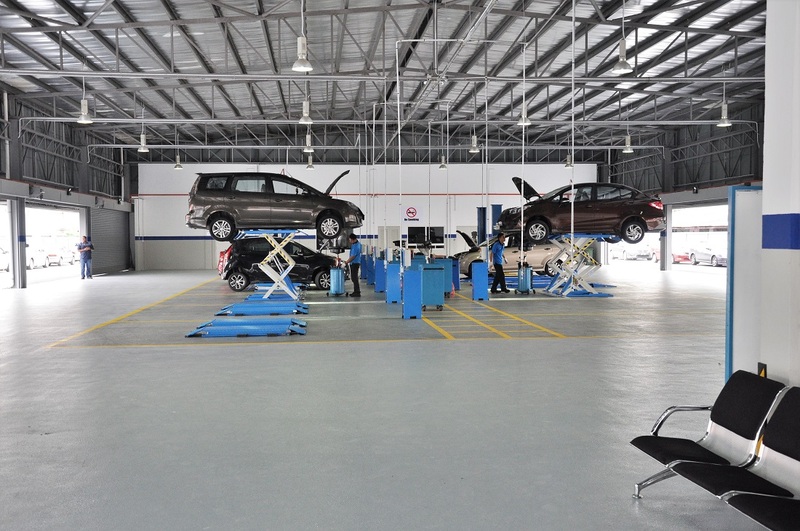 The market is fluid, what works today may not work tomorrow. So the intention to relocate to a new area to provide better customer experience is inevitable. The new area will provide convenience to customers as a one-stop centre for sales, service and spare parts,” said Dato’ Shamshudin Nor, owner and shareholder of Pantai Bharu, who has been heading the business for 32 years. “We are positive that with the new and fresh looking facade, better lighting and ambience for interior and exterior, we will be able to attract more customers to our showroom, hence this will definitely push our sales and service level upwards. 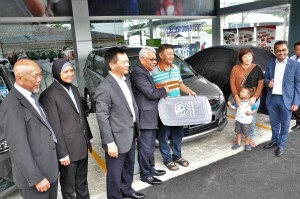 We foresee a 100% increase in sales and service throughput with the inception of this outlet upgrade,” he said further. 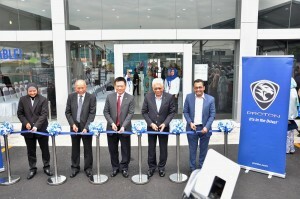 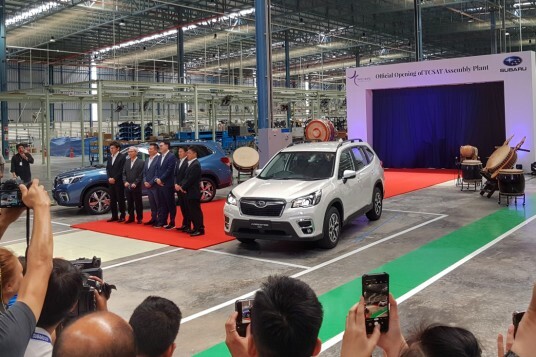 Officiating the outlet opening was Dr Li Chunrong, CEO of Proton, Dato’ Razaif Mohamed, Deputy CEO, Abdul Rashid Musa, VP of Sales and Marketing, accompanied by other senior management of Proton. 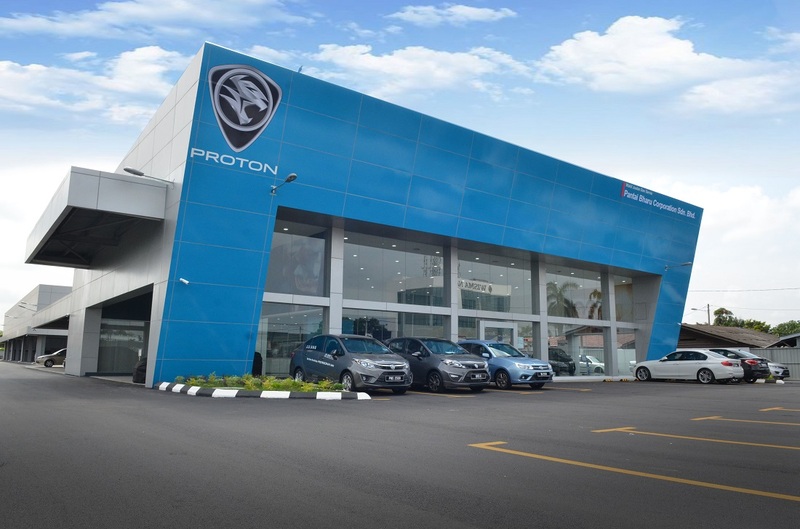 “With outlet upgrading on track, coupled with improvement in sales and quality month by month, we are confident that Proton is gaining traction in the market. Alongside the development of our cars, from the affordable and stable Saga, the practical and refined handling of the Persona, the fantastic safety and technology of the Iriz, to the extra comfortable and spacious Exora, and extra versatility and fuel efficiency of the Ertiga, we always ensure that we remember to put great customer experience in the equation. 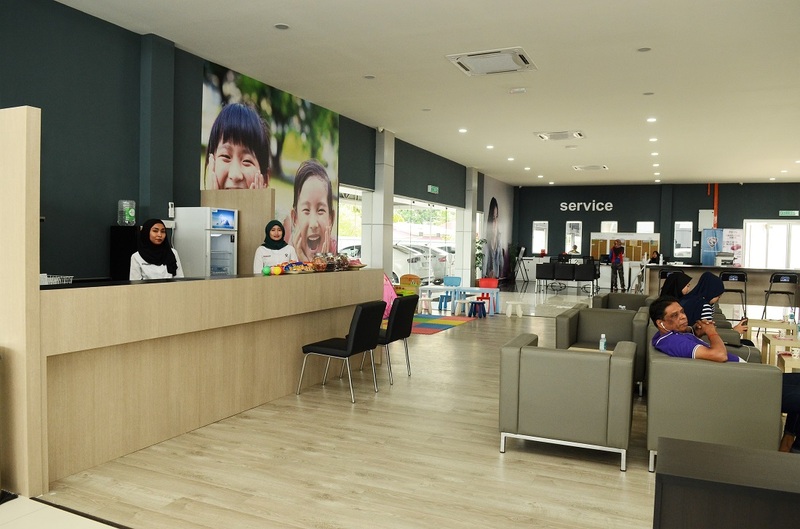 Hence the outlet upgrades with improved facilities and services featuring fresh and new look is a starting point for Proton to win back the hearts and minds of our customers. We know, good quality products allow us to sell more cars, but great service goes a long way to retain and grow our customer base. 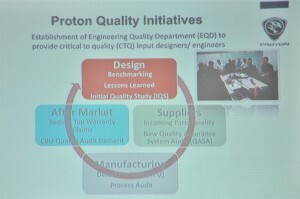 And this is what Proton is striving to achieve,” said Dr Li. 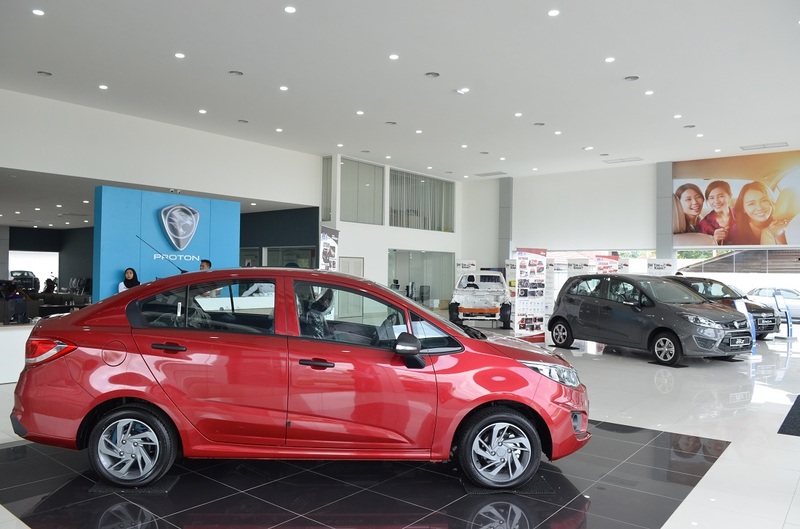 Editor’s note: It isn’t difficult to answer why Proton lost market share and customer confidence in the last decade and a half (at least). 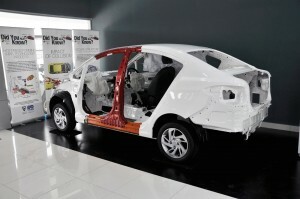 What is difficult is climbing back to its previous stature as the main national car brand. 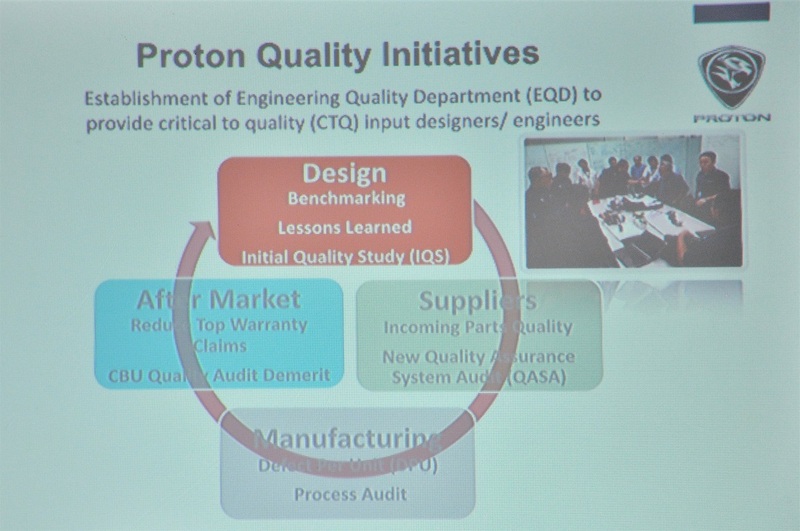 So while it seems that Proton has its head in the right place, the proof of the pudding is always in the eating. 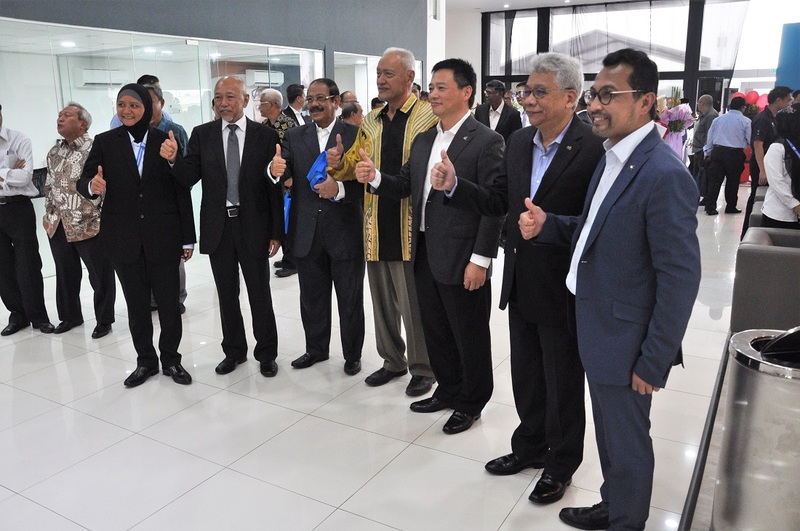 The company will be banking on its planned dealership upgrades (which is ahead of schedule currently) and the upcoming new SUV to propel the brand forward and put it in better standing, and the onus is on the management and stakeholders’ shoulders.